and just plain old spelling and homonym usage. So I searched for a better spell check and tried different word-processing programs. I perused Pinterest, browsed blogs, and scanned social media. Finally, I found it. I used the free portion of the site for several days. It finds over 150 types of errors. Many of which my word processing program, and mom missed. “Contextual Proofreading For Spelling,” says it all for me. They also have a hybrid thesaurus-dictionary for one stop wordsmithing. Oxford comma or not, some editors argue about the necessity, but if it is missing Grammarly found it, along with other types of punctuation errors. So I was pretty impressed. I started looking at the features I couldn’t get for free including 100 more types of errors, filtering by writing purpose (novel, business, technical,etc.) and identifying passive voice. For a novelist this is huge. Reading 271 pages of your own work making sure that zombies are not able to sneak in your sentences is a pain. 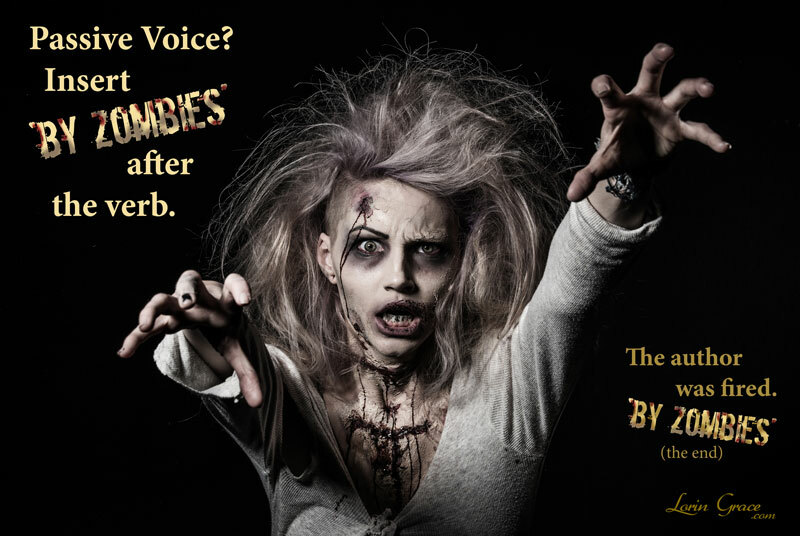 Grammarly kills zombies! Or rather identifies where they want to hide in the manuscript. Yes, the premium subscription could be a stretch for a starving writer as it was for me, but it is worth it. If you find you are starving too much, subscribe for your beta-reading month to give yourself the cleanest manuscript possible. At very least take advantage of the free tools and apps. Happy writing and Goodbye zombies!